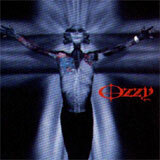 So if Ozzy says he is Down To Earth with this album he'd be better Flying' High Again because this is maybe the worst opus in his whole solo career :-((( I already knew Ozzy when he was into Black Sabbath and followed his solo career since the beginning and it looks like the Mad Man has past the point of bringing something fresh and interesting to the metal scene. Where are just the good old times gone?????????????? I know it is impossible to replace Randy Rhoads and even Jack E Lee. Sorry but Zack Wylde just missed the point on this album. The production is good but no!!! Just say no, the songs don't sound like Ozzy's songs used to be once. They sound like Black Sabbath going New Metal. The hole album sounds New Metal. And the worst: don't ask me for a good song or even for the best one, it is just a pithy. This album is maybe a good product for the American market but in Europe or in Japan lots of old fans will surely be disappointed. Ozzy's singing lines aren't that good. The worst is that the riffs aren't interesting at all and the solos aren't very catchy. So maybe the fans will be divided like fifty/fifty so this is not more than a 50. This album is as disappointing as Ozzy's performance in Donington in 1996. He went just completely wasted on stage playing with water shooting guns and it was miserable.